Every year I try to reflect during the month of November on things I’m thankful for – sometimes it’s serious. sometimes it’s silly but either way it always puts things in perspective and ends up being a great activity. I just reread my list from last year and I am surprised by how many things are the same and how many things have totally changed- what a difference a year makes eh? I can’t lie – this has been a tough year emotionally. I’ve had set-backs professionally, personally and I’m just generally feeling a little more somber as we enter the holiday season. 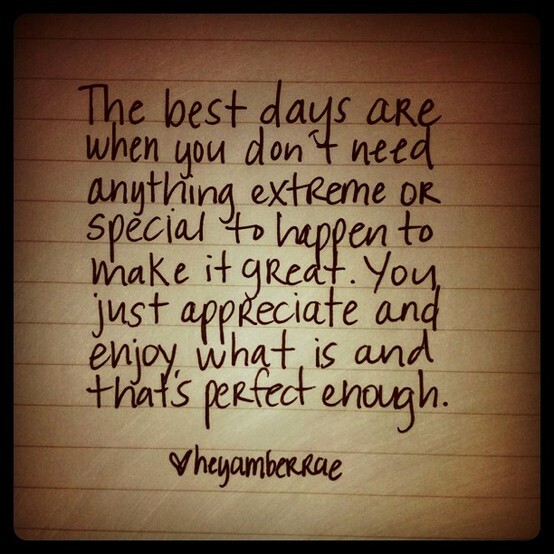 I decided rather than wallow in that I need to refocus and be thankful for all the things going RIGHT. 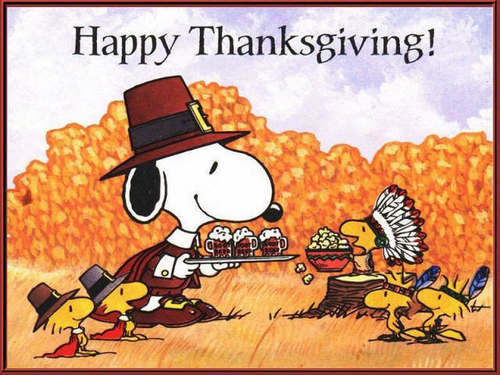 As I quoted last year – if tomorrow you only had the things you were thankful for today would you be happy with what you had? (if the answer is no, consider saying a few words of thanks before bed tonight – you’ll feel amazing after a few days!). 13 things I am most thankful for in the year 2013! 2. My Dad – he and I are so much alike that we often but heads but I *always* love him and value his opinion. He is honest, fair and a family man – in addition to being funny and driven – all qualities I hope to find in my future husband! 3. My brother, Derek. We have thousands of inside jokes and funny stories that can be triggered by just A LOOK. I’m so glad we’re as close as we are and that he ALWAYS has my back. 5. My friends – I once read you are a combination of the 5 people you spend the most time with. Lucky for me that’s a mix of fabulous, fit, funny and articulate ladies who bring out the best in me! 6. My health. I bragged on Facebook about being healthier now than I ever had been (then I was smited and got the stomach bug from hell, LOL). But overall I am more in tune with my body than ever before and that’s powerful. 7. My favorite aunt, my Aunty Roma passed a few weeks ago after a long battle with bladder cancer. It’s still surreal for her to be gone and I’m thankful for the time we spent together and the lessons she taught me (like “you might not pass this way again”). 8. ZUMBA! I originally got into this as a means to an end (cardio to lose weight) and for someone who hates the dreadmill and hates the elliptical it seemed like the lesser of all evils. Low and behold I LOVE Zumba and look forward to my workouts every week. I went from not wanting to try it to going 5 days a week! 9. My job. In just a few weeks I’ll celebrate my tenth anniversary at my company. It hasn’t been all sunshine and roses but I can honestly say there’s no place else I’d rather work. I love my industry, I love my co-workers and I’m finally in a position where I can influence positive changes. This job also affords me the opportunity to travel, collaborate with people from all walks of life and live a really great life. 10. Random Acts of Kindness – one of my favorite things each year is when I see people randomly doing nice things for other people. I feel like once you put positivity into the world you are much more likely to see positive acts around you. Hold the door – ask someone how their day is (and really listen to the answer) – I’m thankful for these little moments throughout the year. 12. I hope this doesn’t sound arrogant – but I am thankful I have a way with words. All day long I read things written by people with no pizzazz and no story telling ability – I’m thankful I can express myself through words! I posted my list of things I’m thankful for a few weeks back ~ but I’ve done so much reflecting since then I thought a second post was in order. You guys know I am notorious for NOT living in the moment. Not being thankful for who I am, where I am and who is surrounding me. I’m always either dwelling on the past or worrying about the future. Since I last realized this I’ve been working on it – trying to be present. 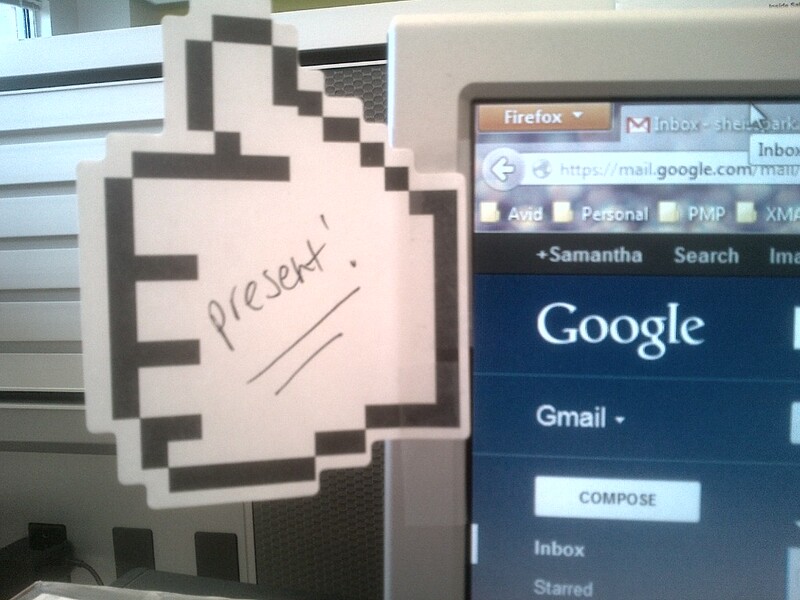 I even have a post-it reminder on my desk at work! Cutest post-its ever huh? Love them! But like most things worth doing, it’s not easy. Yesterday I found myself disappointed I couldn’t wear my size 22 black corduroy’s to work today – they are perfect fall/winter wear! They’ve been sitting in my closet for YEARS since I bought them on a whim when I was a size 28. I was pouting….then today I ran upstairs to see a coworker and realized I wasn’t out of breath – which was always a norm I had just accepted it. Therein lies my progress. Nope, I’m not the “size I decided I needed to be by this point” (with quotations because it’s so silly) but I am better and stronger AND smaller than I was this time last year! I will wear those pants soon – not today, but soon. Love the sentiment! So true. So, what are you thankful today? Are you living in the present? Do you appreciate where (and who!) you are? Last but not least, I am in a new challenge I have to mention because I am beyond excited about it! 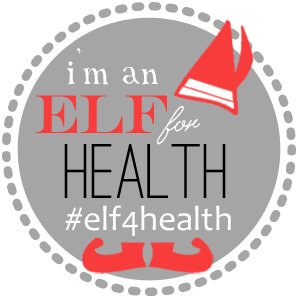 Lindsay from The Lean Greenbean and Elle from Nutrionella are hosting #Elf4Health. Details here. It’s going to be a great way to keep me on target during the holidays! Join me if you want to stay accountable and meet some new folks that are fitness-minded too!